2 Reasons Your Technology Company Needs to Use Social Media. Social Media represents all things technology… to MOST people. Yes, we know you “professionals” can tell us the ins and out of coding, or HTML, or wiring for different systems, but to the average person, they think their ability to use or not use Social Media may represent their technological capacity. 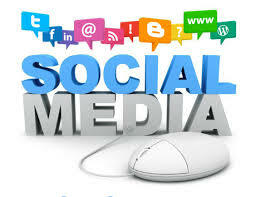 Therefore, a company without Social Media may seem deficient. Your tone, presence, frequency and type of posting on Social Media has the power to influence how others view your company. Do you post/respond frequently? Are you spelling things correctly? Posting about interesting, helpful or relative topics? These things can help establish a relationship with a customer before they ever walk in your door or pick up your phone. Imagine that average businessman “Dave” has been tasked with preliminary research for a technology-based company to manage their company’s technology needs. Dave will use Google and be directed to a website, perhaps YOUR website, along with 5 others. Which will he choose? All of the services seem to be pretty similar, and they all meet the list of requirements given to him by his boss. He selects one that he knows is headquartered nearby (let’s call that Company A), and two others because he likes their website design (Company B and Company C). After a closer look at the three websites, Company A and Company B seems to have recent information with at least semi-current updates, but only Company B has Social Media links. Company C has no “new” information from what Dave can see, but they are on Social Media. Dave clicks on the Social Media icons and begins to do a general look-through. Company B has a Facebook, Twitter, LinkedIn and Google+ account, but none have been updated in over a month. Company A has a Facebook and LinkedIn account, with constant updates. Dave sees that Company C recently won a county award and has attended two conferences so far this year. He also notices that several times a “client” has commented on a post with a question, and that Company C has always responded within a few hours. His mind made up, Dave takes the results of his findings back to his boss, and recommends contacting Company C.
While this scenario could play out on a multitude of ways, it demonstrates how a company’s social media can change a potential client’s perceptions about them. As a technology company, this is especially true, because the “average Dave” will expect Social Media to be extremely easy and second-nature for the company’s professionals, when in fact the opposite is often truer. If you are taking these facts into consideration, we invite you to explore First ABS’ social media platforms. We are excited to be on Facebook, LinkedIn, Twitter and Google+. Links to these platforms can be found and the top and bottom of this webpage. /wp-content/uploads/2017/05/Logo-e1494168890244.png 0 0 admin /wp-content/uploads/2017/05/Logo-e1494168890244.png admin2014-05-23 16:38:102017-10-06 23:44:132 Reasons Your Technology Company Needs to Use Social Media. Getting to Know… Sean Poppell Are Newsletters Really Necessary?